B2RUVL - it is a bridge for UV maps editing at Headus UVLayout v2 or RizomUV, like 2in1 version. Thats all. 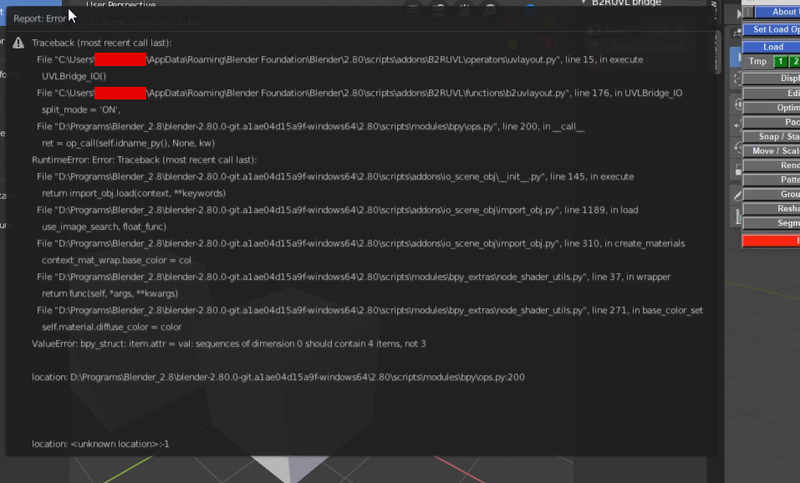 You will recieve UVs automaticly and apllication will be closed(not Blender). PS: Addon still in development and Blender 2.8 API too. So it will be more functions for addon. Ps you do know some one already made an add-on for this app do you? Yep, here is another one B2RizomUV but it is also paid. 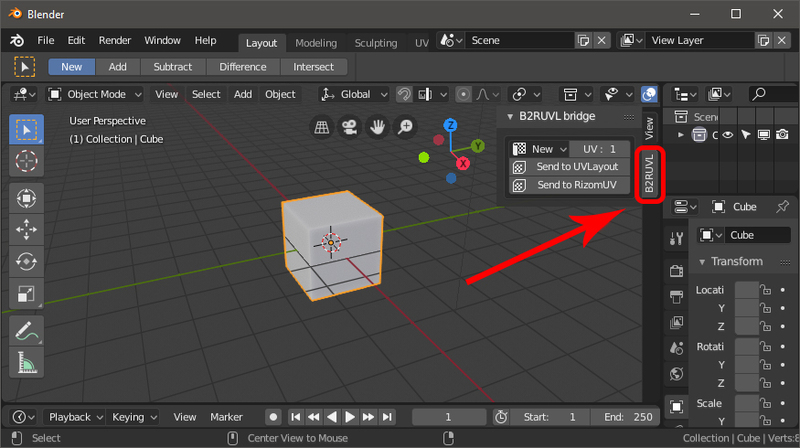 Does this support smooth groups and multiple UV exports to B2RizomUV ? B2RUVL works with exact defined channel in case of obj format. But if I change it to fbx it will be possible to work with multiple and smooth ing groups. Can you provide a demonstration video? I want to know if it works correctly. Hi Bop, I will make demo video soon. And it will be like : for UVLayout it will be using OBJ for RizomUV - FBX. And in future i’m going to add an option - Muliple or work on all UVmaps. Mark cut edges in UVLayout automaticly by marked sharp(Hard) edges from Blender. But it works only for single object. Hello i bough it>install it> make my rizomuv exe path> and after that i cant start plug in i didnt see it in blender 2.8 is it possible to add shortcut or menu button? it’s on a right side of 3dview. PS: it is active only in object mode not in edit. Video added to topic header. Thanks for your video, I will buy it and look forward to more perfect synchronization and multi - UV support! 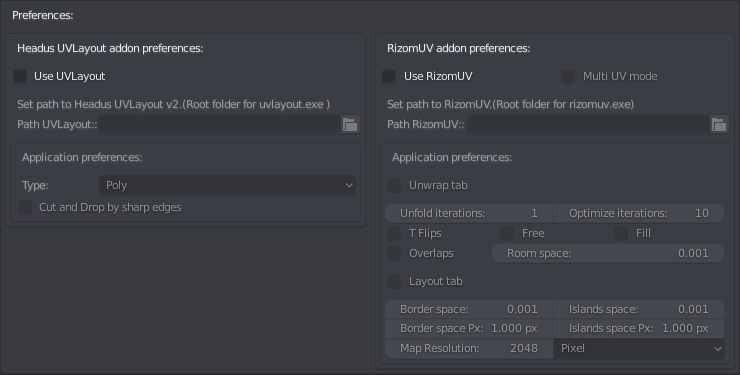 I found a bug that could not be imported into rizomuv when the name of UVMap was UVMap.001 . Script updated to version 003. Yep, i’m working on update, please wait. So add-on updated to version 005.